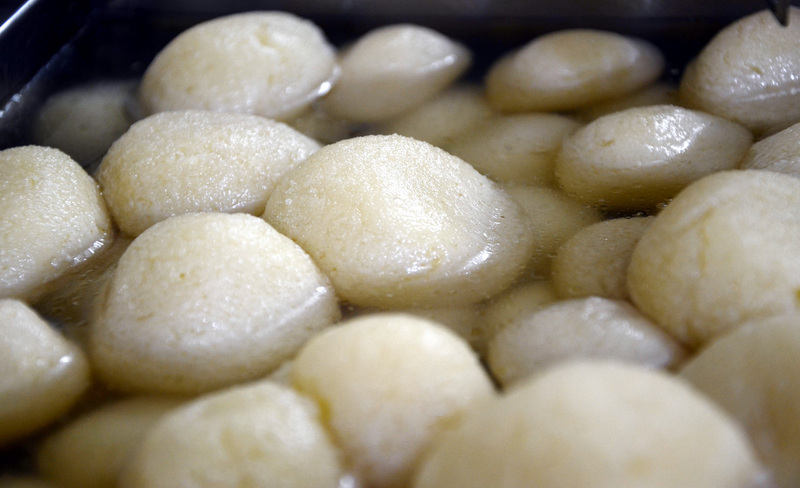 Did Bengal’s Rosogolla come first or Odisha’s Rasagola beat it to become the first of its kind? Odisha government began work on claiming the Geographical Identification (GI) for the sweet in 2015. However, later, West Bengal got the GI tag for ‘Bengal’s Rosogolla’ as something that was invented Nobin Chandra Das in 1868. Ironically enough, Bengalis and Odias have been locked in a bitter battle over who invented the iconic sweet and that’s not where the Bengali-Odia food battle ends. The states have a plethora of similar and some identical dishes and often, that leads to raging debates on who originally invented the dish. Case in point, the ‘roshogolla’ or ‘rasagola’. The one Odisha makes is starkly different from Bengal’s — it melts in your mouth and comes with a shelf life of just two days. The Bengali version is spongy and stays longer. Yet, the cultural dispute over who ‘owns’ the sweet is least likely to die down anytime soon. A common sentiment among Odia people is that unlike the enterprising Bengalis, Odias did not eagerly document their culinary history. The result, many professional chefs and food critics said, is that only sense of the evolution and impact of the state’s cuisine exists through word-of-mouth lores passed down generations. 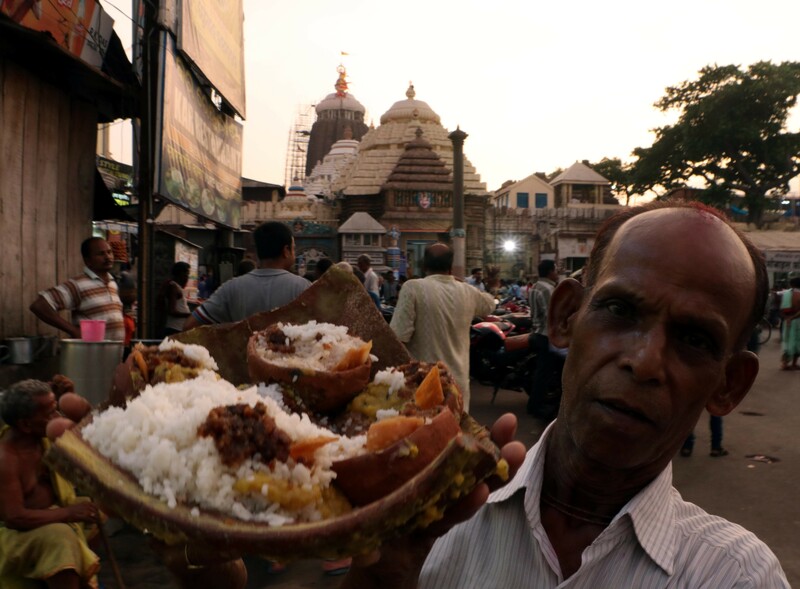 Usharani Tripathi — food historian and author of ‘Taste of Odisha’ and ‘My Odia Kitchen’ — that efforts to dig up Odia food history was made as late as 2015 when the controversy around who ‘owned’ the roshogolla surfaced. As a result, people often mistook Odia cuisine as a sort of progeny of Bengali cuisine. 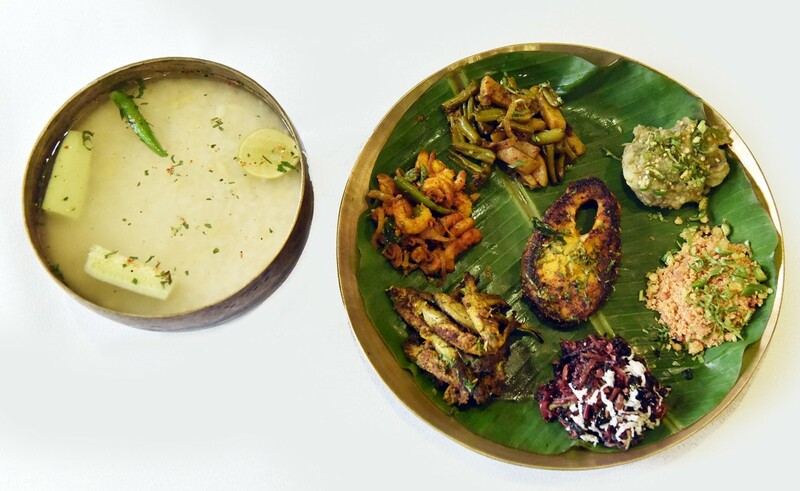 Whereas, many traditional Odia dishes made their way into Bengali cuisine and became cherished favourites. How, one might ask. The answer, Tripathy said, were the hundreds of Odia Brahmin cooks from Puri who worked in Bengal and Bengali households. Puri is not just a popular tourist destination of Odisha but also a paradise for food lovers, be it vegetarians or non-vegetarians. The Brahmin cooks of the temple kitchens to this day cook around 172 dishes under Chappan Bhog daily, that is offered to the deities of the Jagannath temple first and then to devotees as ‘Mahaprasad’. Tripathy said these cooks who were trained in Puri’s temple were so popular that they were sought after across east India. In the 19th century, many of them travelled to West Bengal to cook in Bengali kitchens. Meenakshi Das Gupta in her book – The Calcutta Cookbook: A Treasury of Recipes from Pavement to Place – writes that Odia cooks, referred to as ‘thakurs’ spelt magic when they cooked in Bengali feasts. They took traditional Odia recipes to kitchens in Bengal which had a major influence on the way Bengali food evolved. Food critic, Pushpesh Pant explains that commonalities are bound to happen between the cuisines of Odisha and West Bengal for their geographical proximity. So Bengal and Odisha often consume similar dishes which even have similar names. Take for example ‘Pakhala Bhaat’. The dish comprises leftover rice soaked in water overnight and is known as ‘Panta Bhaat’ in Bengali and ‘Poita Bhaat’ to the people of Assam. Pakhala Bhaat, like a lot of Odisha hallmark dishes, has its root in the temple cuisine. The kitchen prepares nine kinds of rice preparations and of them four are variations of the Pakhala Bhaat. So there’s Dahi Pakhala (curd rice and water), Mitha Pakhala (sweetened rice and water), Arua Pakhala (rice and water tempered with ghee, lemon and salt) and Ada Pakhala (rice flavoured with a ginger slice and water). The water in Pakhala Bhaat, called ‘torani’, has cooling and digestive properties and is hence, consumed widely across Odia households in summer. Similarly, khechudi — a version of khichdi — was also originally prepared in the Jagannath temple. The ingredients if this dish are moong dal, rice, hing, coconut, ghee and vegetables and like in Bengal, it is served as an offering to the deities called ‘bhog’. Odisha’s Khajuri Khata, a dates and tomato chutney is also made in West Bengal following a similar recipe. A more elaborate version of the chutney — with dates, cashews, raisins and candied mango pulp (amshotto) — is often made in Bengal during special occasions. This ‘chutney’, unlike rest of India, is consumed as a dessert in both Odisha and Bengali and is served as the the last course of the meal. In Bengal, the chutney is a must at wedding feasts and is also often a part of the elaborate bhog (feast) prepared as an offering to the deities during the Durga Puja. However, in Odisha, this chutney is a daily staple. Like the dishes mentioned earlier in the article, this too is an important part of the spread offered to the deity at the Lord Jagganath Temple. What Bengalis call ‘Beguni’ (fried eggplant in a besan batter), is ‘Baingani’ in Odisha. That and Kanika, a sweet pulao (known as mishti pulao in Bengal) is prepared regularly in the temples. Dishes like Simba (hyacinth beans) Rai and Janhi (ridge gourd) Posta are also present in Bengali cuisine as Shorshe Bata Diye Sheem and Jhinge Posto. While Odias use garlic in both the dishes, Bengalis prefer not to. Food blogger Alka Jena said due to similar geographical conditions, Odisha and West Bengal have same kind of food preparations. The common thread that runs between Odias and Bengalis is their love for rice and fish. Both the States consume a lot of vegetables and use of mustard in the form of seeds, paste and oil. Besides that, Pancha Phutana (paanch phoron in Bengali) is a must in many Odia dishes, as it is in Bengal. “Odia dishes like Besara (vegetables cooked with mullet), Ghanta, Chadchadi (Chochhori in Bengal), Jhada Besara were taken to Bengal by Odia cooks and over the years, these dishes were improvised to suit Bengali taste buds. However, one cannot claim that Pancha Phutana, mustard seeds and posta are spices that are integral to Bengali cuisine because Odias have been using them since ages in their food,” claims Usharani. Blessed by a coastline of 480 km along the Bay of Bengal and the Chilka Lake, Asia’s biggest brackish water lake, fish has always been the highlight of Odia cuisine. Like in Bengal, Ilish (or hilsa) is the most popular among the 50 varieties of fish that are generally cooked in Odia households. Fish preparations like Macha Patrapoda, Macha Mahura, Macha Jhada Besara, Mudhi Ghanta, Macha Chhecheda and Macha Besara are quintessentially Odia but one can find similar preparations in Bengal under different names. For example, patrapoda is a lot like paturi, mahura is ‘machcher matha diye dal’ (lentils cooked with fish head) and chhecheda (a mix of vegetables and fish head) is also popular in Bengal as chochhori. However, both the States cannot claim to have invented the dishes as there is no way to ascertain it. “Take for instance, Dahi Macha. It is a traditional Odia dish, cooked in a spicy yogurt sauce tempered with mustard, garlic and turmeric. The dish is also a highlight of Bengali cuisine and sometimes, they refer to is as Bengali Doi Mach that is cooked with Rui or carp,” says Jena. But who invented it? No one really knows.